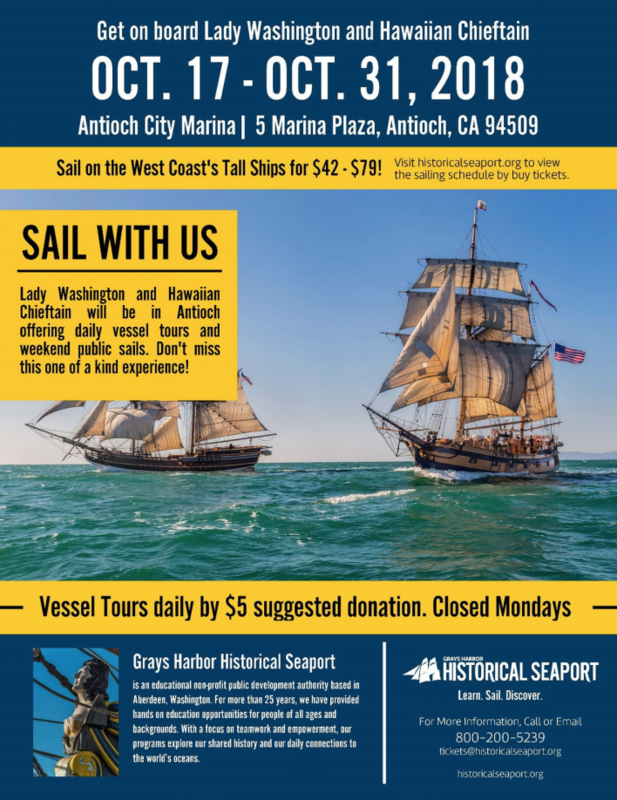 Tall Ships Lady Washington and Hawaiian Chieftain, official ambassadors of Washington state, will visit Antioch and offer exciting Adventure Sails, Battle Sails and Vessel Tours from the dock. Vessel Tours open the ships to the public for a suggested donation of $5 per person. 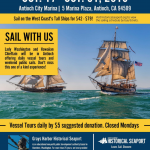 Come check out the ship and meet her crew! The ship arrives in Antioch on October 16, 2018. For more local Antioch events, check out our events page!